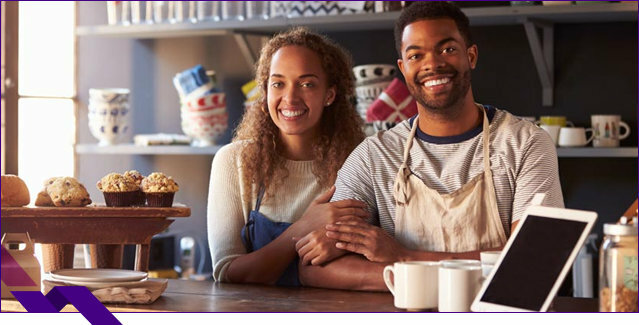 Small Business Liability Insurance is a contract between a business and an insurance company where the insurer will pay to repair, replace or recover the value of whatever the business has under coverage if it’s lost or damaged by a set number of causes. Densmore Insurance Strategies, Inc. provides business insurance to in Bondurant, Ankeny, Altoona, West Des Moines, Johnston, Urbandale, Pleasant Hill, and surrounding areas. budget a few hundred dollars for coverage? You could lose your belongings: theft or damage to buildings, personal property or equipment. You could be sued: product and/or services cause damage or bodily harm to a customer. You could make a mistake: a professional error or omissions that cause emotional distress. to know what your business values the most and how it will benefit from its coverages. Professional Liability: Covers your mistakes that cause physical or emotional injury. Commercial Auto: Covers work vehicles and the liability they may cause. Cyber-Crime Insurance: Covers the loss of customer’s sensitive data. Employer Liability Insurance: Covers Social Security, unemployment and workers compensation. Workers compensation insurance: In most states and in some businesses, injured employees receive workers compensation insurance, no matter who was at fault for the injury. Commercial Vehicle insurance: Like your personal auto policy, this provides similar coverage such as liability, collision, comprehensive, medical payments (or personal injury protection) and uninsured/underinsured motorist coverage. Business Interruption insurance: Also known as business income insurance) is a type of insurance that covers the loss of income that a business suffers from a disaster. The income loss covered may be due to the disaster-related closing of the business facility or due to the rebuilding process after a disaster. Home-Based Businesses: In addition to liability coverage, business insurance can also provide coverage for your property and office equipment. Product Liability insurance: Product liability insurance protects against claims of personal injury or property damage caused by products sold or supplied through your business. To find your optimal insurance combination, you’ll have to figure out what coverage makes sense and whether or not the benefits will outweigh the premium costs. To do this you, you’ll have to answer several questions and make a lot of decisions, but your patience and effort will be rewarded with peace of mind. One of the biggest price and process factors for finding insurance depends on the size of your company. A small startup will face a much easier process than a big corporation with multiple locations. This will be a more decision-friendly process. You can get a Business Owner’s policy (BOP) and packages that offer a number of check-the-box options. There will be many different coverage options. Certain locations may need different types of coverage, and with a larger workforce, you might want more appealing benefits to attract talent. Not Sure If You’re Big Enough to Need Business Insurance? Are you thinking to yourself, “Hmm, I’m not technically a business, so I probably don’t need insurance”? Well, think again, because any continuous activity with a profit motive is “technically” a business and could be held responsible for the same risks as a small business. The cost of business insurance policies depends on the coverage and a number of other factors like size, location, and materials used. So, a small children’s book publisher might only pay $550 a year, whereas an underwater oil drilling company could pay $550,000 a year. Basically, the safer and smaller the company, the lower the premium can be. The professional at Densmore Insurance Strategies, Inc. understands that you have several choices to purchase small business liability insurance in Ankeny and Des Moines Iowa. We review the impact & likelihood of your operational & strategic risks and offer recommendations that help maximize your success.